The table below shows the net interest rate yields on the most liquid currency pairs. The “broker average” column shows the average yield and swap spreads across multiple brokers. The “highest yield” column lists the broker with the most attractive current yield/spread combination. The final columns, “daily income”, shows the potential daily income on 1 standard lot carry trade using the best broker rate. Yields ordered by currency pair and trade. This chart compares the broker's fee percentage above/below the average. Disclaimer: All rates are indicative only. Swap rates are variable and can change each day. The swap rates you achieve can vary with account type, leverage and other factors. Always check the contract specification provided by your broker. Swap income can be negated by other fees. 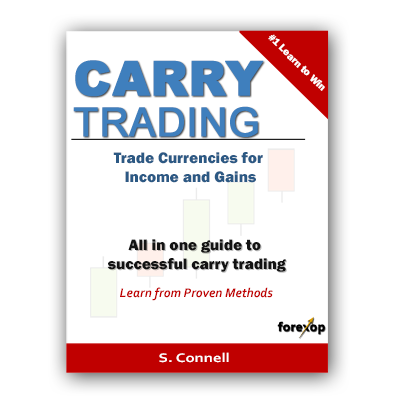 To find and compare carry trades from any broker, use the carry trader indicator.